يوفر فندق Xanadu Resort ظروف إقامة راقية وهو خيار رائج للسياح ولرجال الأعمال أيضاً. يقع في منطقة مطاعم, شواطئ, سياحة من جولد كوست. يجذب هذا الفندق ذو 4.5 نجوم، والذي يبعد 1 km فقط عن وسط المدينة و 20. Km عن المطار، الكثير من الزوار سنوياً. سوف يعشق النزلاء موقع هذا الفندق، فهو قريب من أهم المعالم السياحية في المدينة كمثل ماين, Cheyne Horan School of Surf, 1st Wave Surfing . إن Xanadu Resort حريص على توفير الراحة للنزلاء، فلا يوفر الموظفون جهداً في تقديم أفضل الخدمات وضمان حسن الاستقبال. يقدم هذا الفندق العديد من الخدمات الكفيلة بإرضاء أكثر الضيوف تطلباً. لقد جهزت هذه الإقامة الفندقية بعناية فائقة لتوفر مستوى عالي من الراحة. في بعض الغرف يجد النزيل تلفزيون بشاشة مسطحة, اتصال لاسلكي بشبكة الإنترنت (مجاني), غرف لغير المدخنين, مكيف هواء, تدفئة. يمكنك الاستمتاع بالأجواء المريحة التي تقدمها حوض استحمام ساخن, مركز للياقة البدنية, ساونا, مسار جولف - ضمن 3 كم, حمام سباحة خارجي طوال النهار. إن Xanadu Resort هو خيار ذكي بالنسبة للمسافرين إلى جولد كوست، بما يوفره من إقامة هادئة ومرحة. هذا العقار لا يسمح بحجوزات حفلات نهاية السنة الدراسية. ليس لدى العقار سياسات و إجراءات أو موارد لتلبية الاحتياجات الفريدة المطلوبة لحفلات تخرج المدارس خلال فترة هذه الاحتفالات السنوية. وعلى وجه التحديد لا توجد لدى الفندق الموارد الملائمة لتوفير أفراد أمن مؤهلين لضمان سلامة وراحة النزلاء خلال هذه الفترة. لهذا السبب نحتفظ بالحق في رفض الحجوزات من خريجي المدراس و /أو الجامعات طوال فترة الاحتفالات المدرسية. 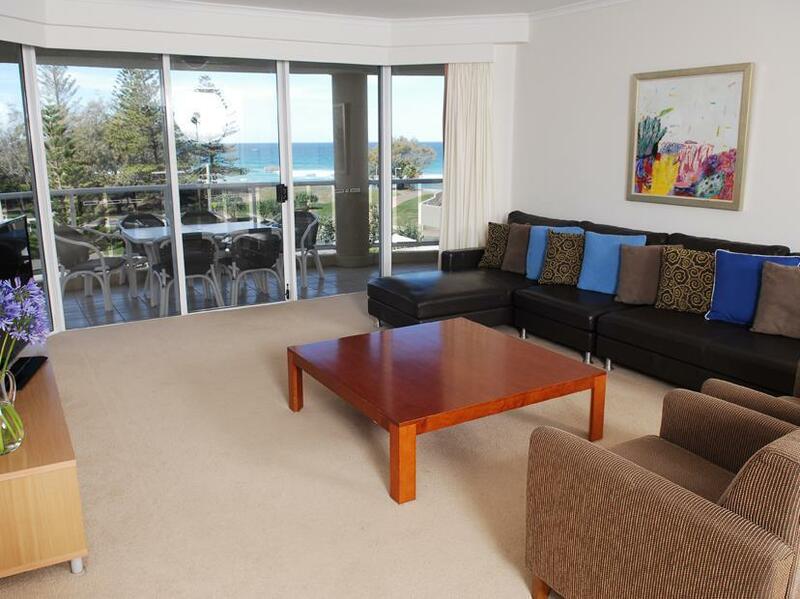 Main Beach is a great location if you are looking to get away from busy Surfers Paradise. 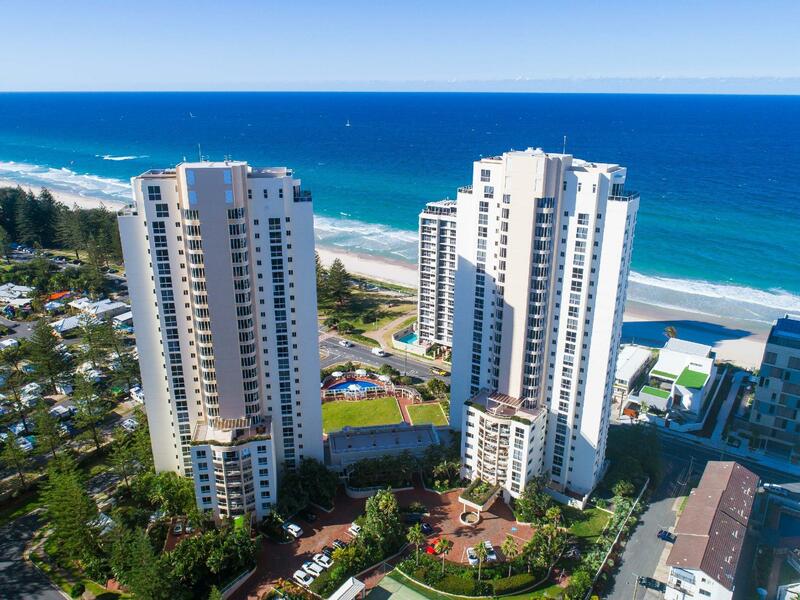 The local shops can be expensive so you need to go shopping and eating around Broadbeach or Surfers. Only disappointment was the WiFi - you have to keep logging to get free internet otherwise you have to pay for an superior service which is approximately $20 for 7 days. thank you for your review. We appreciate your wonderful comments and note your feedback on the WiFi. Awesome sea view apartment. 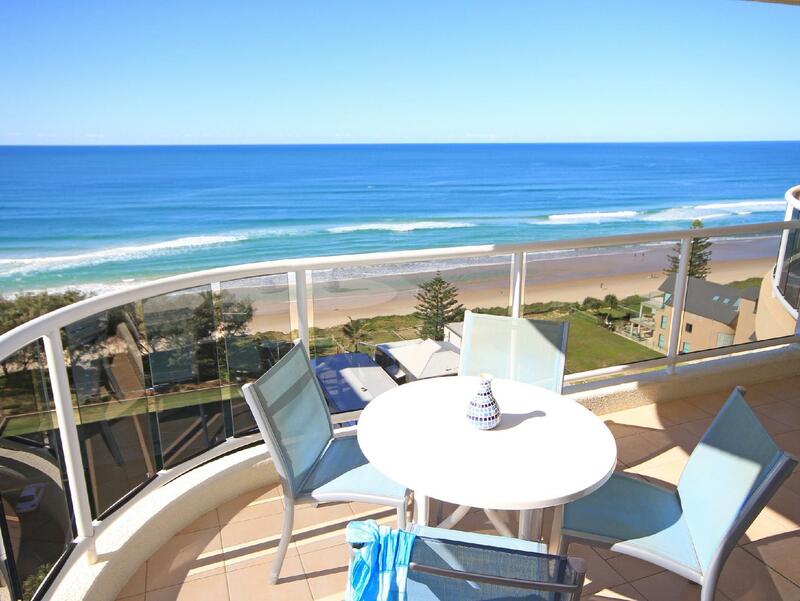 Location is the HEAD of the Gold Coast, Main Beach, very good. Not too crowd. The space is very big, huge for HONG KONG people. Plus an rollaway bed, can sleep at least 5 people. But name it “resort” , actually staff will not clean up every day. That will come to clean at the seven day as the instruction book mention. We appreciate your 10 out of ten review and wonderful comments, Thank you. We look forward to welcoming you back. Great location nice & quiet not as busy as other suburbs . Reception was very friendly & helpful with directions to all the attractions, shops & restaurants. Thank you, we appreciate your 10 out of ten review and wonderful comments. Our family often stay at Xanadu at Main Beach and always find it a great location near to beach & facilities but importantly away from the crowds. We stayed for a week this time and enjoyed it as much as every other time. Thank you. We appreciate the time you have taken to provide us with such great feedback. Hotel is clean, meet our expectation. Reception was friendly, make you feel welcome. View was beautiful. Thank you for everything. We appreciate the time you have taken to provide us with such wonderful feedback. Thank you. Nice staff, beautiful sea view and large space. Thank you, we appreciate your wonderful feedback. Thank you!! We appreciate the time you have taken to provide us with such wonderful feedback, and great comments. We look forward to welcoming you back again soon. Great location. Appartment was huge and we had beach side view. Very impressed, will be back! Great feedback, thank you! We are glad to hear you enjoyed your stay. We appreciate your 10 out of 10 review, and thank you for the time you have taken to provide us with such wonderful feedback. We had a great stay, it was quiet and close to beach and shops.would highly recommend the resort for cleanliness and quietness. thank you for your 100%!! Pay a little extra and get ocean view and above level 16. Superior apartment is lovely. Only disappointment was the WiFi - frequent drop outs 24/7 which was very annoying. We were on a high floor over looking the beach. Great location, short walk to Tedder St, where there is restaurants, and other shops. Beautiful little street. Our apartment was clean and looked to be recently renovated. The staff were lovely. Nothing bad to report. Thank you!!! Your feedback and great comments are appreciated. 1. The apartment is quite spacious with a commanding view. However, the provider for this facility charges for every sport and games' facilities that the guests uses (its does not come as part of the rental of the apartment). 2. No cleaning crew even to change soiled towels which are chargeable. no vacuum in the apartment to clean up any dirt or mess on the carpet. 3. Even after being charged for AUD25 per day on the high floor, its a big question why am I paying extra when theres nothing extra provided by the apartment management? We can't even request for new towels and leg mats after paying AUD25 per day. 4. The air condition is centralised and cannot be controlled in individual rooms, hence, the hall and the rooms were not properly ventilated by the air condition cool air at al for 6 days of my stay. And yet the big question again I am paying extra AUD25 for what is it? The maintenance person never came to check the air condition even after being informed about the problem. 5. The staffs leaves by 5pm and only comes in the next day at 9am, so during the after work hours any problems incurred are the guests' problems. 6. The cleanliness is far fetched from average, there are cobwebs on all the window panels in the entire apartment. The panels looked like it has never been cleaned at all. 7. I want my refund of AUD25 per day x 6 days= AUD150. Because its was not worth paying extra for just being on the high floor but with no air con, no cleaning services, no towel change and with lots of spider webs. Feel I have been cheated. 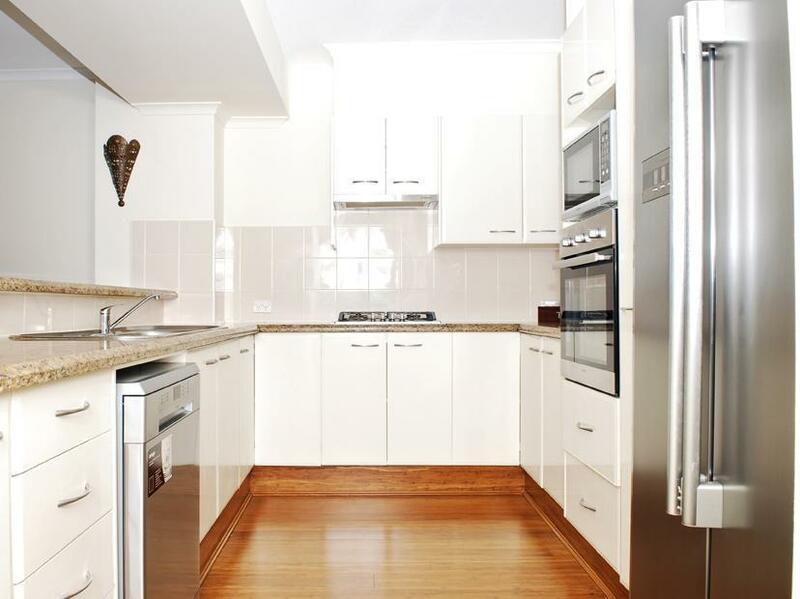 In a quiet location, just cross the road from main beach, very spacious apartment. Fully equipped kitchen.